As the Ethereum community continues to grow at an exponential rate, users should learn about Amberdata’s SaaS platform. Amberdata, the leading provider of blockchain monitoring and analytics, has a platform designed to monitor, search, analyze, and secure public and private blockchains. They provide operational intelligence for blockchain infrastructure, on-chain decentralized applications, token utilization and transactions. Whether you want to develop a smart contract, invest in a cryptocurrency, or build an entire business on the blockchain, Amberdata will be a crucial asset for you and your business. Amberdata is the leading platform for monitoring and analyzing the Rinkeby testnet. As a result, you are able to choose between the mainnet and the testnet. Most ethereum users should default to the mainnet, but developers may find it beneficial to monitor their smart contracts that are being trialed on testnet. Can’t find the token you are looking for? Amberdata provides a search bar which allows you to simply type in the tokens name to view its dashboard! So as long as it is on the Ethereum Blockchain, regardless if it is a ERC20, ERC721 or another type of token, there will be a dashboard for it. Not only that, but the search bar lets users search for an address to explore and search the address’s activity taking place. But beyond that, it provides you the ability to search for almost everything: transactions, blocks, uncles, etc. There are two dashboards available for quick blockchain use: infrastructure and transactions. Infrastructure focuses on understanding the health and intelligence of the blockchain while transaction focuses on monitoring the overall performance of network transaction throughput. The infrastructure page is split into two sections. 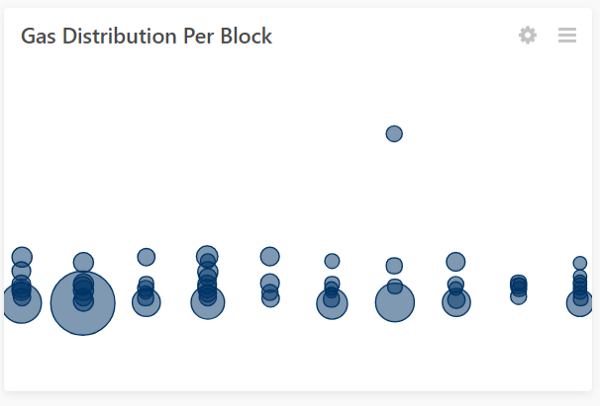 The first section visualizes various metrics about the Ethereum blockchain. In the visualization section, there are eight graphs, each representing a different aspect of the blockchain. Let’s begin by going over each graph. 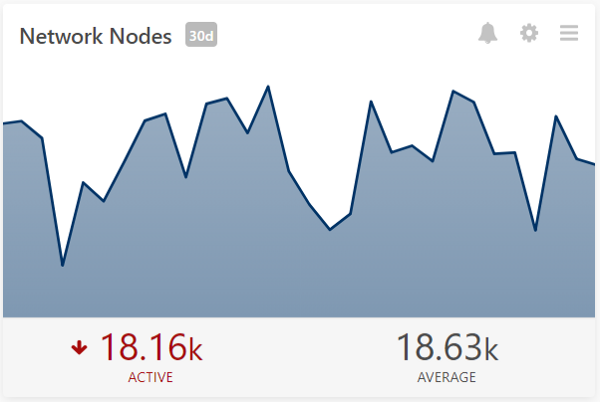 The total number of network nodes on the Ethereum Blockchain within an adjustable time period. Each network node hold acopy of the entire blockchain by mining blocks and validating transactions. Generally, there is a correlation between high network nodes and healthier networks. Displays the most recent block number and the time when the block was added onto the Ethereum blockchain. Ethereum network currently uses Proof of Work as the consensus mechanism. The difficulty, measured in terahashes (10¹² hashes), is how much work is required to mine the next block. The hash rate is the number of terahashes performed by all miners per second. The Ethereum network dynamically adjusts the difficulty for each block to maintain, on average, a constant block-mining interval. 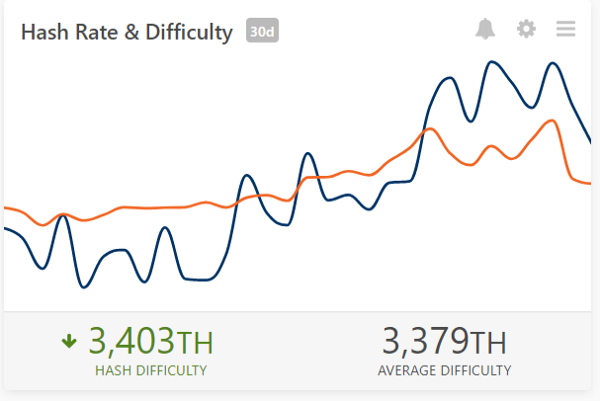 The chances of mining a block follow from the miner’s hashrate relative to the difficulty. 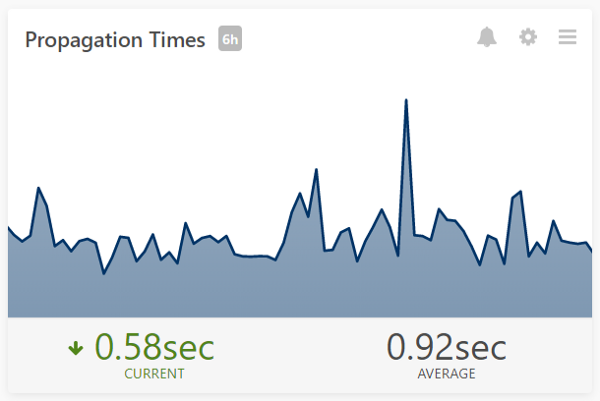 The actual time it took to mine a block on the Ethereum blockchain. As dictated by the Ethereum Protocol, the average block time should be around 15 seconds. As a result, the difficulty will be adjusted dynamically to ensure this happens. The time required to share a new and valid block from the local node to the entire Ethereum network. If the majority of the network accepts this block, the block will be added to every node’s local blockchain, restarting the process to begin looking for the next block. The bar graph represents the number of uncles in n blocks. The line is the SMA (simple moving average) of uncles in n blocks. Uncles refer to blocks that are not part of the main chain and occur when two miners produce a valid block at similar times. Even though uncles are not part of the main chain, Ethereum provide rewards as incentive to keep smaller miners active. Ethereum does this to increase decentralization (miners are not forced to join large mining groups) and increase security (miners are not faced with stale blocks¹ which results in wasting fewer computation resources). 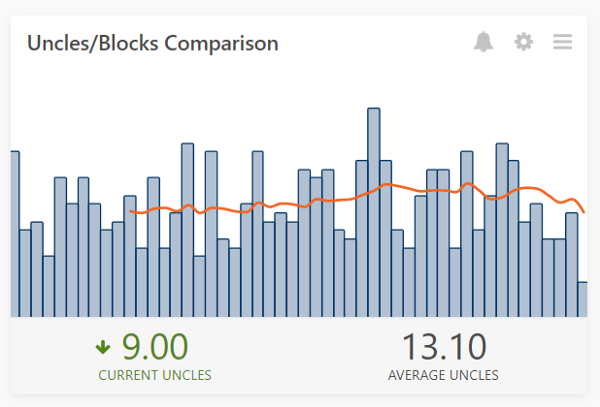 Displays the most recent blocks along with the number of transactions and uncles and the block time. In Ethereum, blocks contain information used to chain the previous block together. 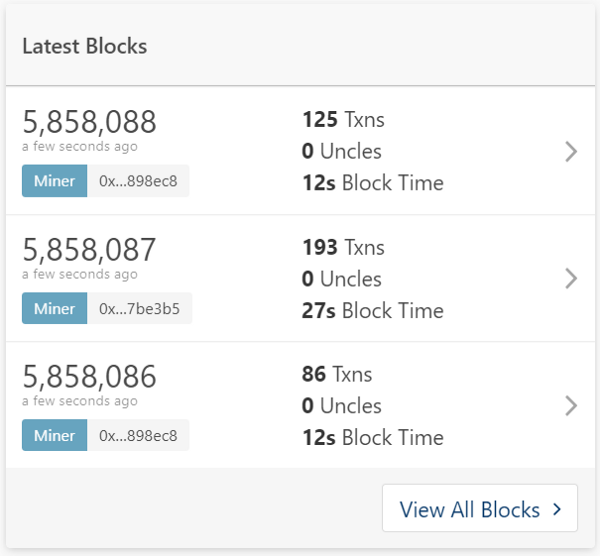 Thus, blocks will show the miner’s address, parent’s address, block reward and block time, and more. The top ten countries with the most network nodes on the Ethereum blockchain. For information about network nodes, see “Network Node” above. Global network view illustrate where the most active miners are located. The second section contains two table of the most recent blocks and uncles. As stated, Amberdata is a live monitoring service so one of the features it provides is a dynamic block tables and uncles table. The purpose of this is to allow users to track every block and uncle where once clicked, can provide all the nitty-gritty details of each respective item. Similar to the Infrastructure page, the Transaction page is also divided up into two sections: visualizations and tables. The visualization displayed are used to illustrate the status of transactions and transaction fees. Similar graphs are grouped together, for example “Successful Transaction / Sec”, “Pending Transaction / Sec” and “Failed Transaction / Sec”. 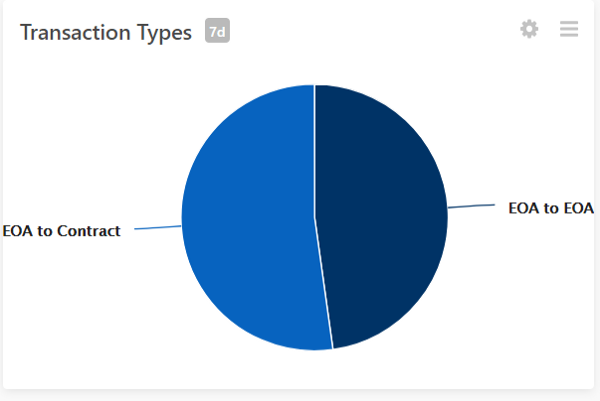 Let’s look at the “Transaction Types” graph because Ethereum is unique where it allows users to interact with smart contracts. This means Ethereum is one of the few that have transactions between Externally owned accounts (EOA) and smart contracts as well as transactions between EOA and EOA. 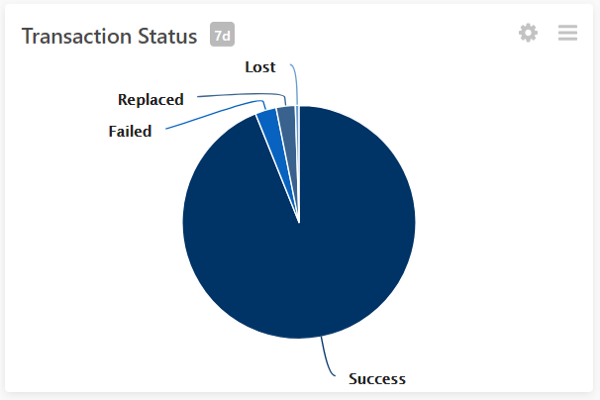 Now, let’s look at “Transaction Status” to determine the breakdown of transactions that were either successful, failed, replaced, or lost. Successful transactions complete the process while failed transactions are transactions that were either rejected or did not have enough gas to complete. Lost transactions are considered “lost” when they have been pending for over 24 hours. Finally replaced transactions occur when they are not successful at first and were re-attempted and succeeded at a later point. Finally, let’s look at all four types of “Transaction / Sec” (Success, Failed, Pending, and All). While these graphs are very straightforward, one thing understand is how transactions fail and the effects of failed transactions. You can learn more about this in my past article. With the introduction of smart contracts, Ethereum built a mechanism to prevent exploitation of the system. The mechanism: Gas. Gas is the required fee users must pay to interact with a smart contract. The amount of gas needed depends on the complexity of the smart contract, but the cost of the gas depends on the gas price. Gas price represents the cost of a unit of gas in Ether. Gas limit represents the maximum amount of unit of gas one is willing to purchase during a transaction. With these graphs, anyone will have enough information to calculate the transaction fees. 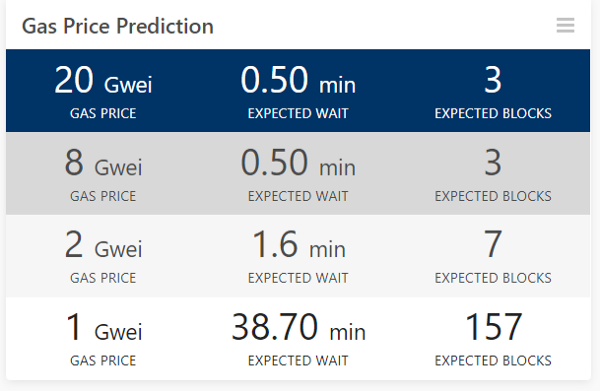 But Amberdata goes beyond that by providing “Gas Price Predictions” to estimate the transaction fees based on the gas limit, the amount of gas needed to complete. The time to confirm a transaction averaged over the entire day. The time it takes for a transaction to complete depends on the amount of gas fees paid, the number of active network nodes, and the difficulty of mining a block. Compares the amount of gas used to complete each transaction within a certain block. The radius of the circle represents the amount of gas used by each transaction with each column representing a different block. Compares the amount of gas used to complete a transaction with the time it takes for it to complete. The radius of the circle represents the total number of transactions that used that amount of gas. 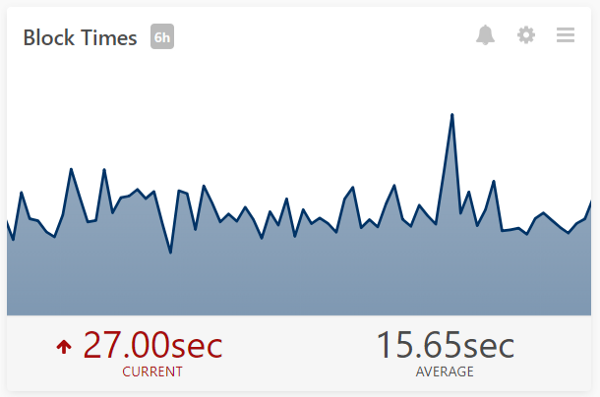 The greatest feature of Amberdata’s graphs is their flexibility. Depending on the graph, certain features can be changed to cater to the user: time frame, amount of blocks, data summation, and more. 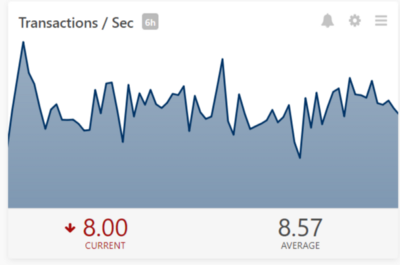 Not only can you configure the graphs, but you can also create alerts for certain graphs to alert you when a shift happens. Thus, users are able to constantly track Amberdata without being on the site. 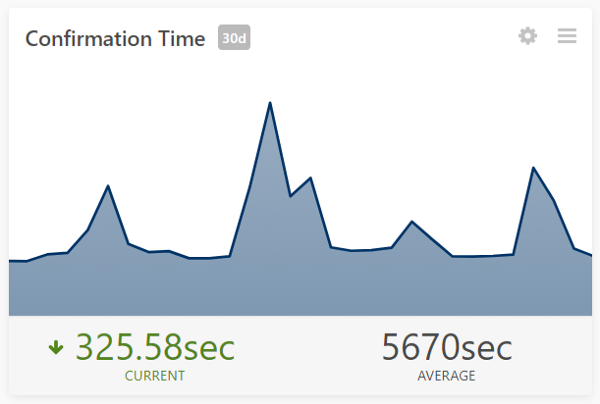 Look at videos to learn how to configure the graphs and create alerts! Similar to the Dashboard, the Blockchain is also broken up into its own sections: Blocks, Transaction and Uncles. These sections are very similar to each other so let’s just go through “Blocks” thoroughly. 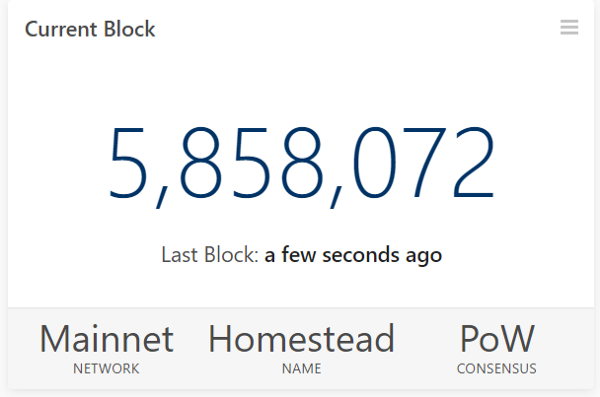 The “Blocks” page begins with a summary of the page: latest blocks, hash rate, current block time, and network difficulty (this is different for “Uncles” and “Transactions”). Afterward, it provides a table that individualizes each block, providing its block #, time, miner, etc. By clicking on one of the rows, users are able to get more information about it. The page that the users see will depend on what they are looking at. The applications tab has smart contract & token summary panels. It provides both graphs and a table summary of all of those tokens. 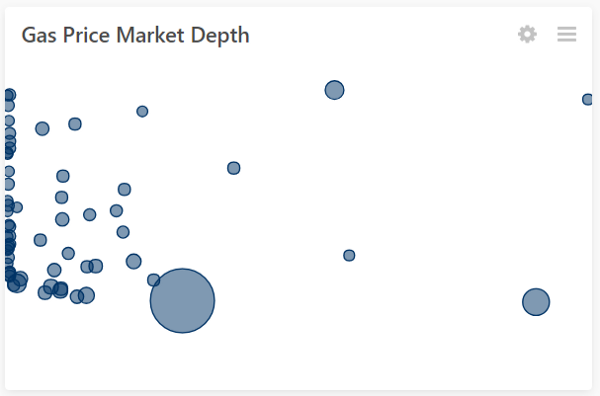 The treemap display a different aspect of the token market depending on the setting. In the image above, it is set to “Token Volume” which will show the volume of each token in proportion to the other tokens. The other two settings are “Token Velocity” and “% Changed”. The right graph will display the transaction that occurs in a specific token. Look at “Transaction Type” above to learn more about the types of transactions on Ethereum (EOA to EOA and EOA to Contracts). After the visualizations, there is a table containing the top 50 tokens with general information about each one. By clicking on one of them, a new page will appear with a complete summary of the token. This information will help users evaluate the status of the token by letting users track the transaction that occurs, the token holders, address activity, etc. From developers designing a smart contract to entrepreneurs building businesses, everyone can benefit using Amberdata.io. The Amberdata team is constantly updating and improving the platform to ensure the best insights into blockchain data. Thus, the future of Amberdata will continue to grow and mature making it exciting to see where it goes. ROI: Are Cryptocurrencies Good Investments?